Having come from a background of editorial photography, and indeed still shooting for commercial clients most days, the one thing I found startling when it came to ‘Wedding Photography’ was that there are no industry standards. Of course there are various associations which give out awards to their members for significant achievements, but the truth is there are so many of these clubs and associations that almost anybody can become an ‘award-winning-photographer’ without much more than a few images and a means of payment. It seemed that there were no standard measures with which a newly engaged couple can compare one photographer to another. Do they include a disc or don’t they? How many images do we receive and are they edited? Is a wedding album included in that, and if so, what type of an album, which size, is it bound from genuine leather and how many images are included as standard? The website says ‘All Day Coverage: 8 Hours’, so is it all day coverage, or is it 8 hours? As an outsider looking in, and despite shooting well over 100 weddings I still see myself as a newcomer, it seemed that everyone had different offerings, and everything was set up to make things confusing for the client, who after all, probably hasn’t gone through this process before. So here is my list of the ten essential questions to ask your prospective wedding photographer. If you’re coming to see us about your wedding photography, my team look forward to meeting you. However, please feel welcome to take this checklist to whicever photographer you’re going to see. It’s very important to me that whatever decision you choose with regards to your wedding photography, you know exactly what you’re getting. 01. HOW LONG WILL YOU BE WITH US ON THE DAY? Our answer: We do have one Collection with six hours of coverage included, designed for lunchtime weddings or smaller occasions when all-day coverage really isn’t necessary. 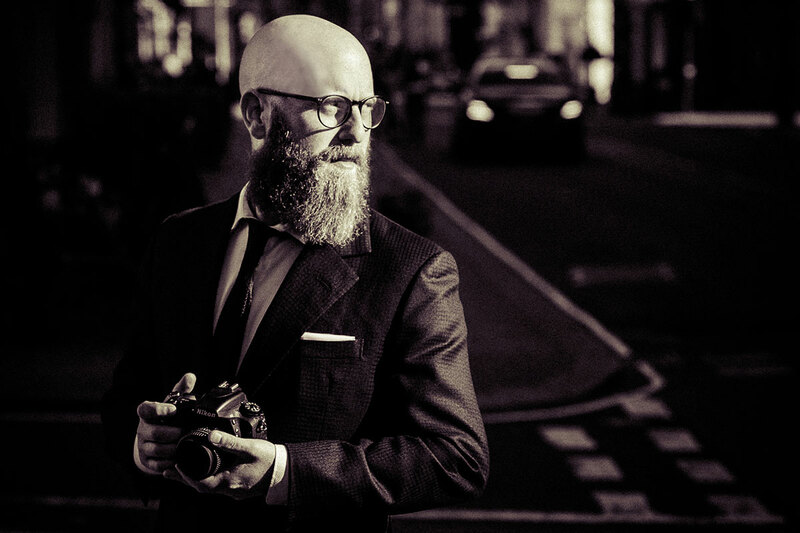 However, in all of our other Collections, there are no limits on time, so if you want to do a portrait shoot in the middle of Oxford St. at 02:00 after your wedding party, we’d love to be there with you. 02. WHAT IF SOMETHING HAPPENS TO YOU, AND YOU CAN’T MAKE IT? We have a team of photographers we can call upon, and would do everything in our power to ensure it wouldn’t negatively affect your wedding photographs. In many ways, this is the security you would gain from choosing a company with a team of photographers. 03. DO WE OWN ALL OUR PHOTOGRAPHS? The photography company will always retain copyright to the images they create, but we grant our clients a license to use their images for personal use, with no time restrictions whatsoever. So essentially, yes, you own the images, you can make prints from them, you have them in high resolution… but you cannot use them commercially. 04. WE WOULD LIKE SOME FAMILY FORMAL PHOTOS, IS THIS SOMETHING YOU DO? There are many photographers nowadays who shoot exclusively ‘reportage’ images, so it’s worth checking if they will also shoot the all-important ‘family formals’. We do photograph these group shots, of course, and also have an exclusive guide which goes out to our clients a couple of months before the big day, helping them create their list to ensure the photography is as efficient as possible – maximising their time spent celebrating, and minimising their time spent posing for photographs. 05. WHAT DO YOU WEAR WHEN PHOTOGRAPHING A WEDDING? We believe a photographer should blend in as much as possible at a wedding, and should dress in a manner that is in-keeping with the occasion. Our photographers normally wear black and are dressed formally. 06. CAN WE SEE LOTS OF SHOTS FROM ONE WEDDING DAY, AS OPPOSED TO ONE SHOT FROM LOTS OF DIFFERENT WEDDINGS? With the meteoric rise of digital photography and editing software, it’s easier than ever for anybody to get a portfolio of images together, this is why it’s more important than ever to see many images from one wedding day, as this is a guide of what you will receive afterwards – not somebody’s 20 best shots from the last 10 years. We regularly publish weddings on our blog, and show over 250 images from one day. 07. HOW MANY PHOTOGRAPHERS DO WE NEED FOR OUR DAY? We have one aim when approaching a wedding: Create the most beautiful set of images we’ve ever produced whilst doing the best possible job for our clients. In order to achieve this, it’s usually the case that we need more than one photographer on the day, sometimes two, sometimes more – it depends on the size of the wedding, the coverage required, and the logistics involved. It’s important to take advice from your photographer in this instance. The caterer uses their expertise and experience to decide how many chefs and waiting staff they need to do the best possible job, equally the photographer will know the size of team they need to fulfil your brief and exceed your expectations. 08. HAVE YOU PHOTOGRAPHED WEDDINGS AT OUR VENUE BEFORE? This is always a great question to ask, firstly because you want to know that your photographer can ‘get the most’ out of your venue and show it off to its full potential, but also because a photographer may have great tips for you from other weddings they’ve photographed at your chosen venue. We are familiar with most of the top wedding venues in the UK. If we’ve not photographed a wedding in your venue, we will usually carry out a site visit ahead of the wedding day. 09. HOW DO YOU STAY OUT of THE WAY? This is so important, as you want all those shots to tell the story of your day, but nobody wants a ‘press pack’ blocking guests all day either. We are hugely aware of this, and all our photographers work as unobtrusively as possible. We also use long lenses where possible, to allow us to create candid images of you and your guests, when often you don’t even know there are photographs being taken. Part of this is also down to your videographers. If you choose a photographer who specialises in being inconspicuous and creating beautiful images from a distance, but a videographer who is constantly standing within touching distance of the Bride, then naturally the photographer will have to alter the way they work. 10. WHEN DO WE RECEIVE OUR PHOTOGRAPHS? We’ve all heard horror stories of couples not receiving their images for massive lengths of time after the wedding. Our team aim to deliver a preview selection to the couple within two weeks of the wedding day, and the entire set of carefully and individually edited images are delivered within six weeks of the wedding.